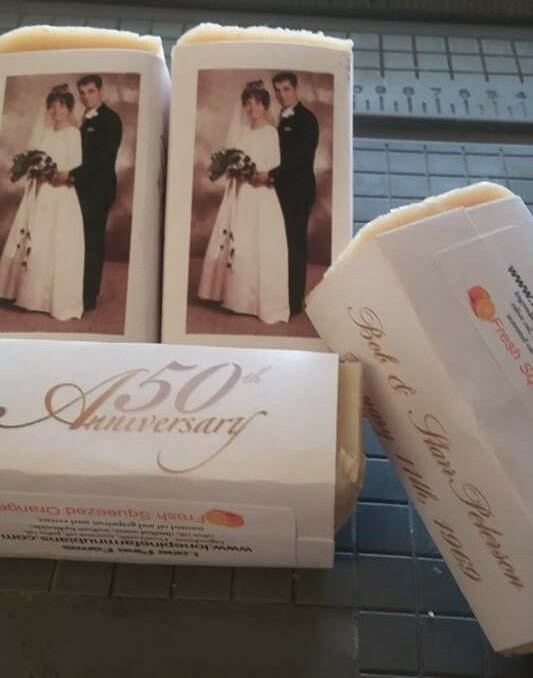 At Lone Pine Farms, we also make personalized soap for weddings, anniversary parties, baby showers, graduation or any event you may be holding. We also have 2 oz bottles of lotion that show a personalized label. Our prices are as follow. Please contact us directly for information and orders. Please note, it takes 3 - 4 weeks for our soap to cure so we suggest that you make your order 1 - 2 months prior to your event.